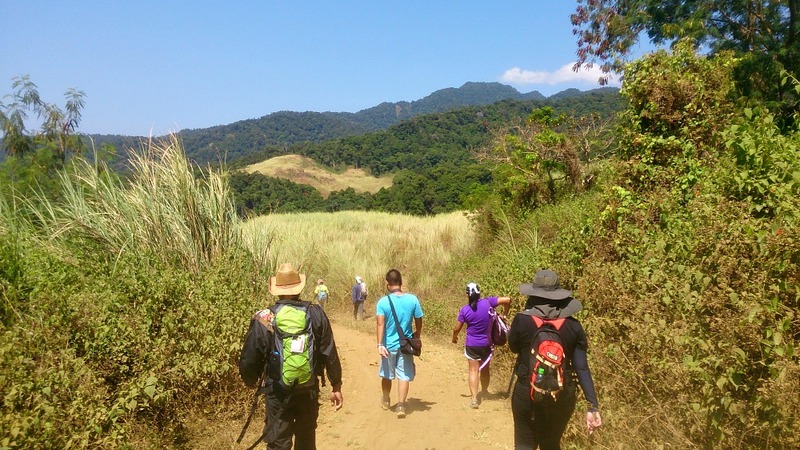 We left Oriental Hotel in Mariveles at 5:00 am but due to some circumstances we started our trek at 9:00 am after a quick stop at the Community Environment and Natural Resources Office (CENRO) in Barangay Binukawan, Bagac. There, we met Mr. Lito Cruz, the chairman of the local cooperative in Bagac to give us some reminders about the protected area. 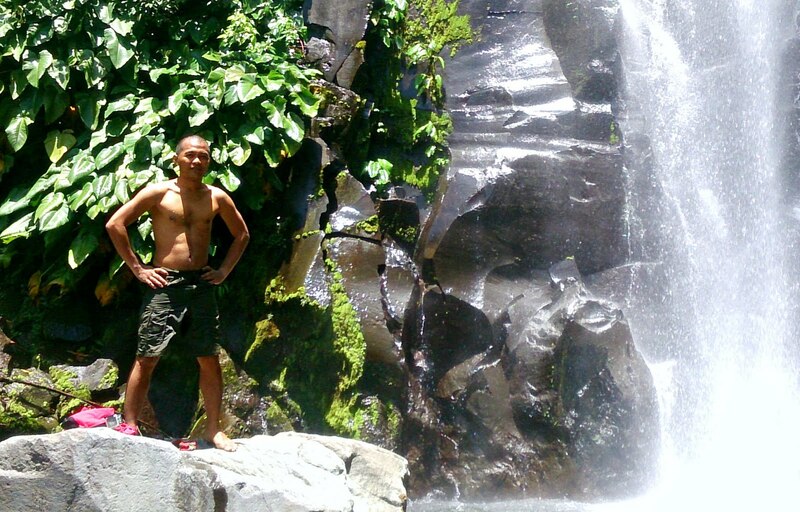 I have never expected to what have been revealed to us in the area covered by the Bataan National Park. It has been years since the last time I’d been to a waterfall and it made me excited to see one that day. 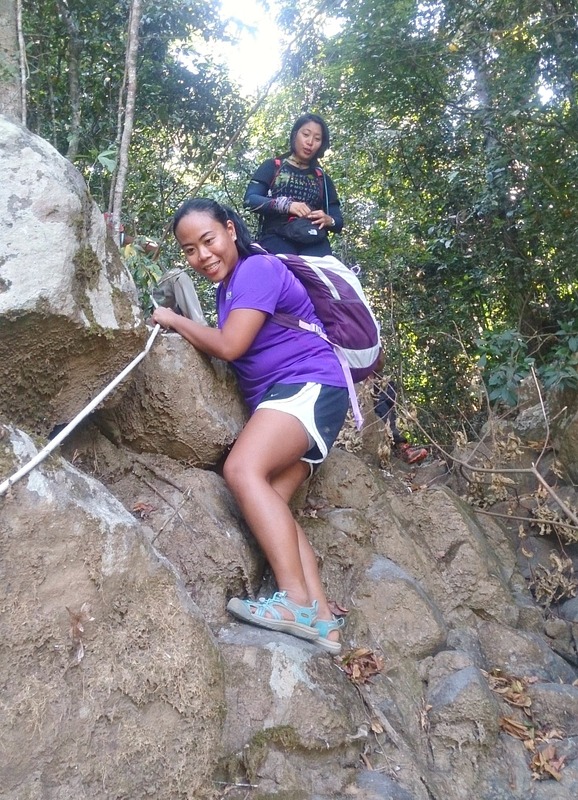 At first, the seven (7) kilometer trail was somewhat bearable with moderate to steep terrain. But what made it difficult was the intense heat of the day, dehydrating us to the last drop. It took us an hour and a half before we reach the public signage informing the visitors that we are a few hundred meters to the sought after waterfalls. There you can read also about the do's and dont's inside the protected area. 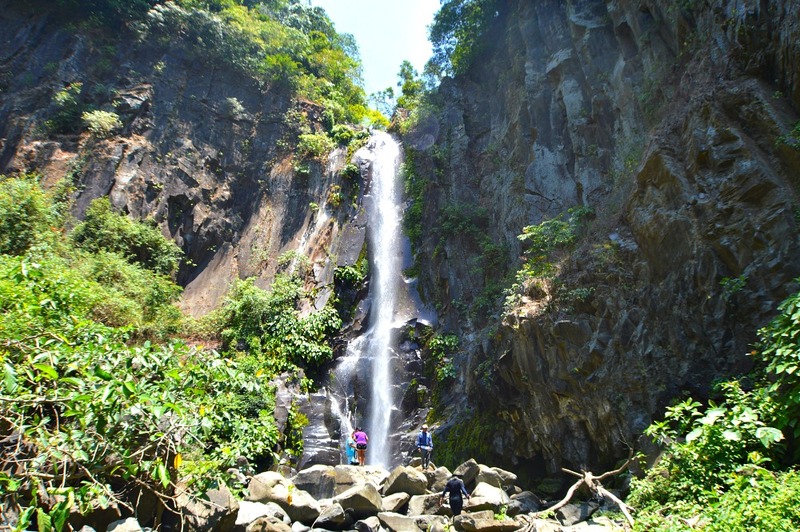 According to our guide it is recommended to take first the difficult trail to Ambon Ambon before heading to Limutan Falls. And so we agreed. The previous work back in Mindanao made me exposed to a lot of technical climbs and difficult trails. But it’s has been years since the last time I had the vertical descent through a cliff until this crazy trip. This steep trail is not for the newbie. 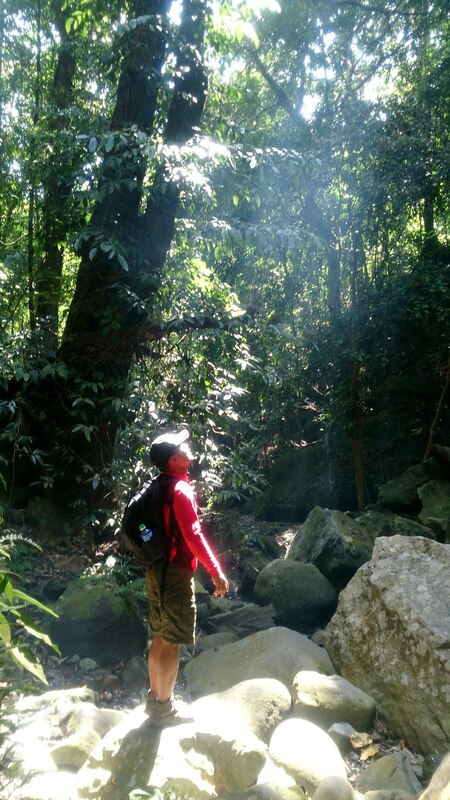 The trail that we took was actually a shortcut to Ambon Ambon falls and I have never imagined that I would be praying so hard, seeking guidance as we hold on to our lives with only a 50-meter rope as our life support. Christine climbing the vertical wall towards Ambon Ambon Waterfalls. The almost 200-foot, 60-80 degree gradient loose-rock-trail was the most difficult trail I have been to so far. Literally, rocks were falling and getting hit by it could result to a major accident. I think a hard hat is necessary for safety purposes. Here is the video of our actual descend to Ambon Ambon Falls. The thick bushes of the secondary forest made it more difficult to escape the thorns of rattans littered abundantly. The soil was slippery that we were thankful that there were still a lot of matured and hard dipterocarp trees standing that can break our fall, just in case of accident. Our descend have lasted for almost 2 hours before we reached the stream connecting the target waterfalls. I really should have brought a pair of long pants and long sleeves as the place was a natural habitat for plants belonging to Dendrocnide. These group of plants have trichomes that are painfully itchy on your skin that would last for days once you get in contact with. Well, you guessed it right, I got hit by the stingy trichomes on my legs, giving me a hard time to walk for days. Because it was itchy, I had a hard time sleeping, keeping me awake 'til morning. Tip, bring a little vinegar with you to counteract the effect of the pain and itchiness of the trichomes. 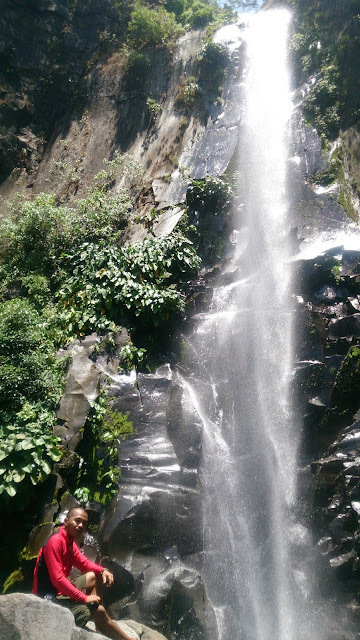 Back to our adventure, we were astonished as the approximately 60 foot waterfall revealed itself. The drop coming from the cliff wasn’t that wide but it looks amazing when you see it up close. The pool wasn’t as wide as compared to the waterfalls that I have seen in Iligan City, but just enough for us to swim to relieve the heat and ease our aching body. The water was cool, clean and powerful. We tried to stand before the drop but it was just too much for us so we took a safe distance away from it. Ops, have I mentioned we were the lone visitors in this beautiful creation that day? It was such a refreshing moment. We could only wish to stay longer but Limutan Falls was waiting for us. We need to get up and start walking again. And you are right , we took the same dangerous trail but this time it was a little easier due to the sense of familiarity. 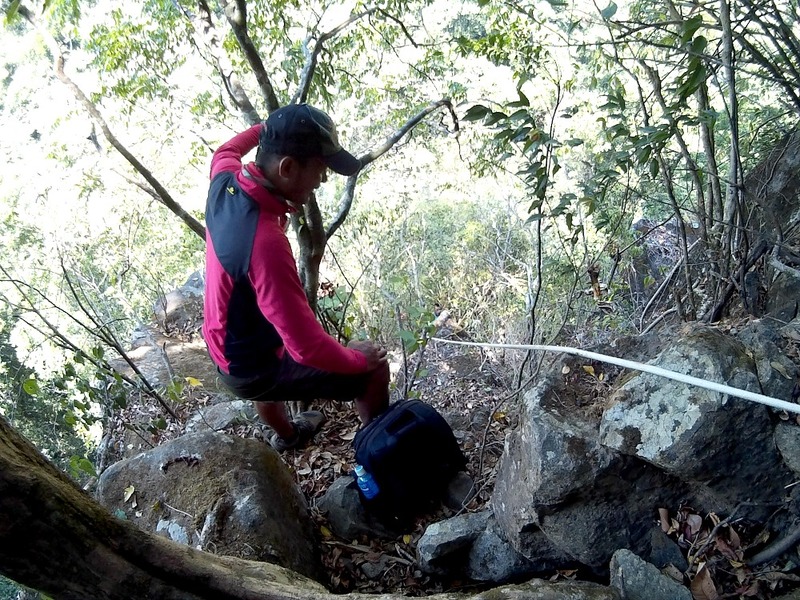 It was nice that our guide Kuya Peter knows how to use an indigenous plant material, Rattan, as rope to support us while we ascend. It was an instant rappelling activity. 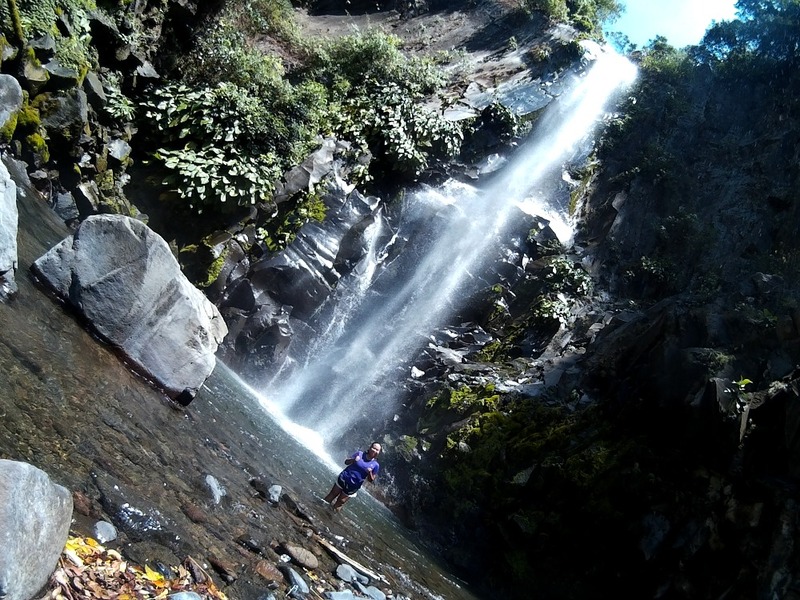 It took us only less than 30 minutes to reach Limutan Falls through the established trail. It seems Limutan is a common picnic destination among the locals in Bagac. We have seen at least three families having fun around the approximately 20-foot drop. It has a swimmable pool that can accommodate at least 10-15 individuals at the same time. 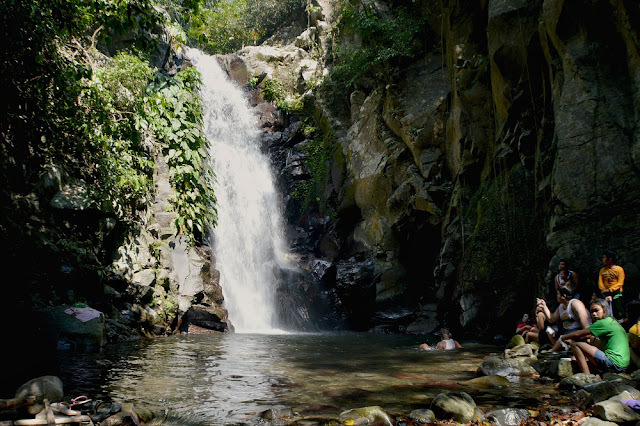 According to our guide, Limutan Falls is under the management of their Barangay. I just hope that the caretaker could constantly inform their visitors to pick up their trash to maintain the cleanliness of the area. After we had our simple lunch by the pool, we traced back our way to the CENRO office. As we walked on the trail, it was hard not to notice the cashew plantation. 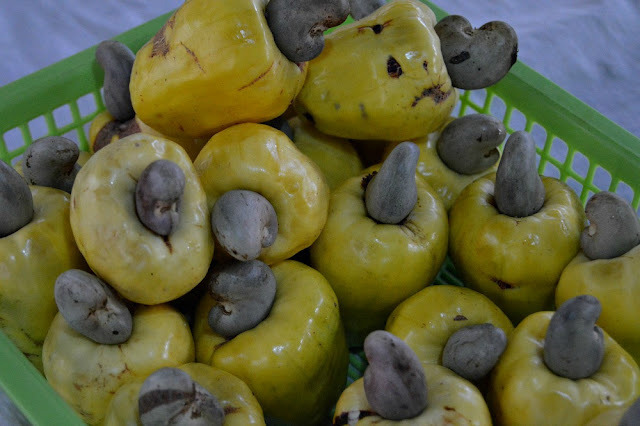 Cashew or Kasoy is one of the main local products in Bataan. But many of us are only familiar with the nuts (seeds) and have no idea about the fruit itself. I picked a couple of cashew and challenged my friends to have their first taste of the cashew fruit. To eat the fleshy fruit, you take a small slice and dip the end part with enough salt, then eat the whole slice. I was glad they liked the juicy fruit despite of the acrid taste. Many find eating cashew fruit disgusting because of the smell and the after taste. 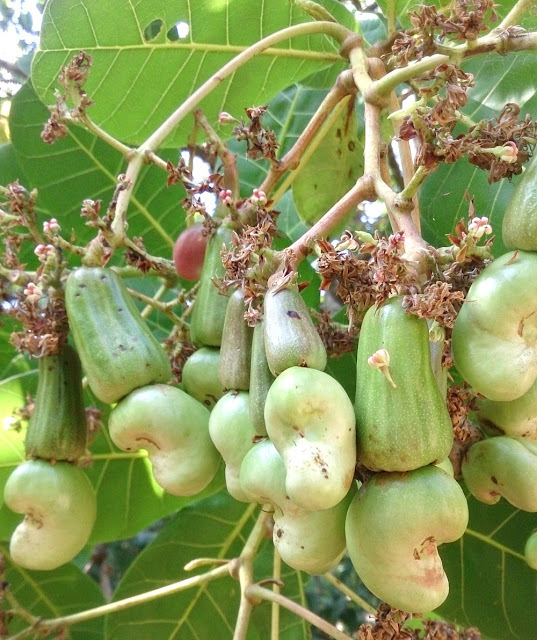 But for people like us who got plenty of trees growing around, cashew was our daily source of natural vitamins. We also use the cashew tops as vegetable on our table. Unripe cashew fruits and seeds still attached on the tree. 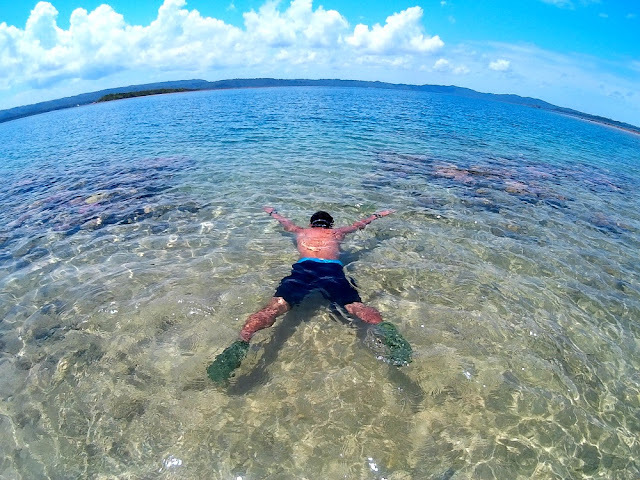 All in all, our trip to Ambon Ambon and Limutan Falls was something worth remembering and truly challenging. Bring enough water with you. Though spring water is available in Limutan, it is still recommended to bring your own especially if you have a sensitive stomach. Pack light. You can do this activity on day trip so just bring enough. As much as possible have water in your bag as back up. Wear long plants and long sleeves as precaution to the poisonous trichomes of unknown plants in the vicinity. Also bring extra vinegar as first aid in case you get in contact with these trichomes. Bring extra rope with you if you wish to take the shortcut to Ambon Ambon Falls. You can charter a tricycle from Bagac proper to take you to CENRO office. 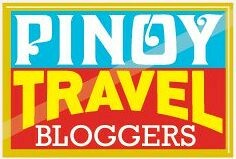 For more information you can get in touch with the Bataan Tourism Center.